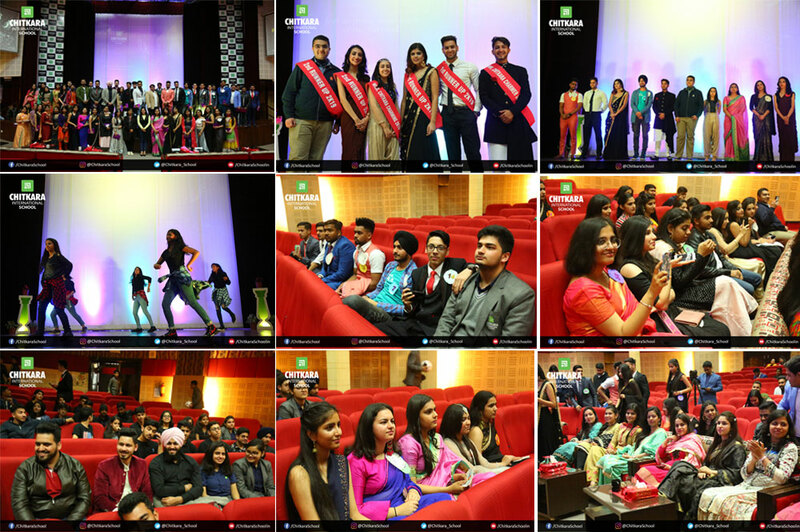 Chitkara International School hosted a farewell party, “Au Revoir” to ceremonially bid adieu to the outgoing batch of Grade 12. Students of class 11 put up a splendid show with the help of their teachers, art, dance and music department. The students of class XII came attired in beautiful apparels in accordance with the Rock and Roll theme. Students of class 11 gave scintillating song and dance performances. The ramp walk got everyone involved. The teachers showered their blessings on the outgoing batch and the students gave heart-warming valedictory speeches and also recounted their school experiences in emotional and nostalgic overtones. An emotional yet beautiful video was played to reminisce joyous moments of the years spent together with peers and teachers. The students put their best foot forward and gave some witty and candid answers in the question and answer round to claim the coveted titles. Mr. Shubham and Ms. Suhavi were adjudged Mr. Chitkara Charmer and Ms. Chitkara Charming respectively. Mr. Jai Malhotra and Ms. Vanshika came out as 1st runners up and Mr. Kush and Ms. Akshita were declared 2nd runners up. The students were also made aware of the CISAN (CIS ALUMNI NETWORK) to keep in touch with their school. The day concluded with a ceremonious lunch. Before the emotional goodbyes, students also got the chance to capture beautiful pictures in the creative photo booth.